This mantel clock, charming and elegant, is the work of famed French clockmaker Ernest Royer, and combines delicate porcelain plaques with a fine ormolu case. 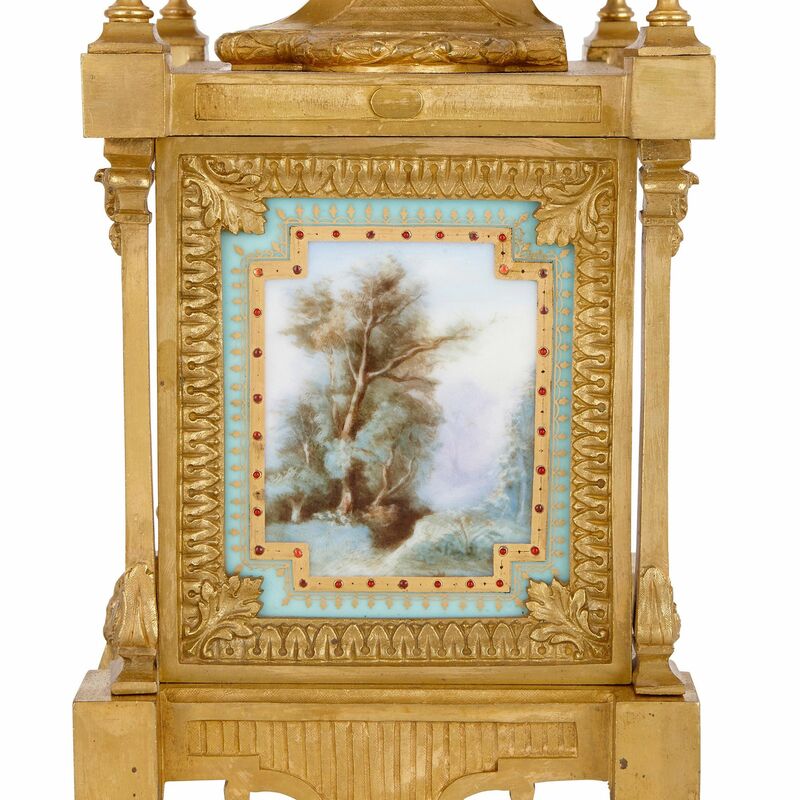 This truly exquisite mantel clock is a fine example of the intricacy of 19th-Century French decorative arts. 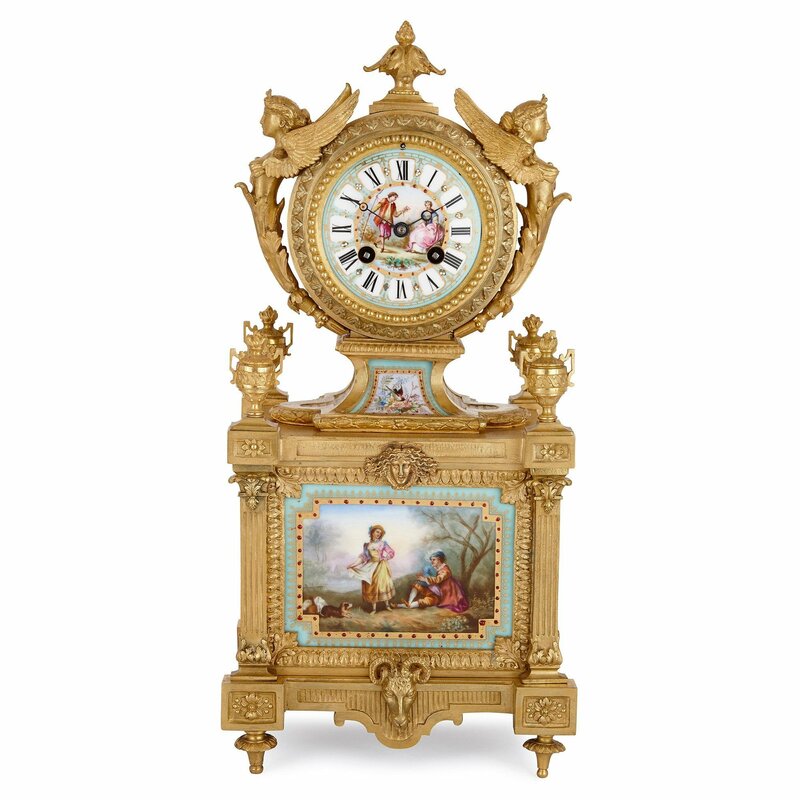 The clock is formed in two parts - the surmounting dial and the lower case - both of which are cast in ormolu and inlaid with finely decorated Sevres style porcelain plaques. 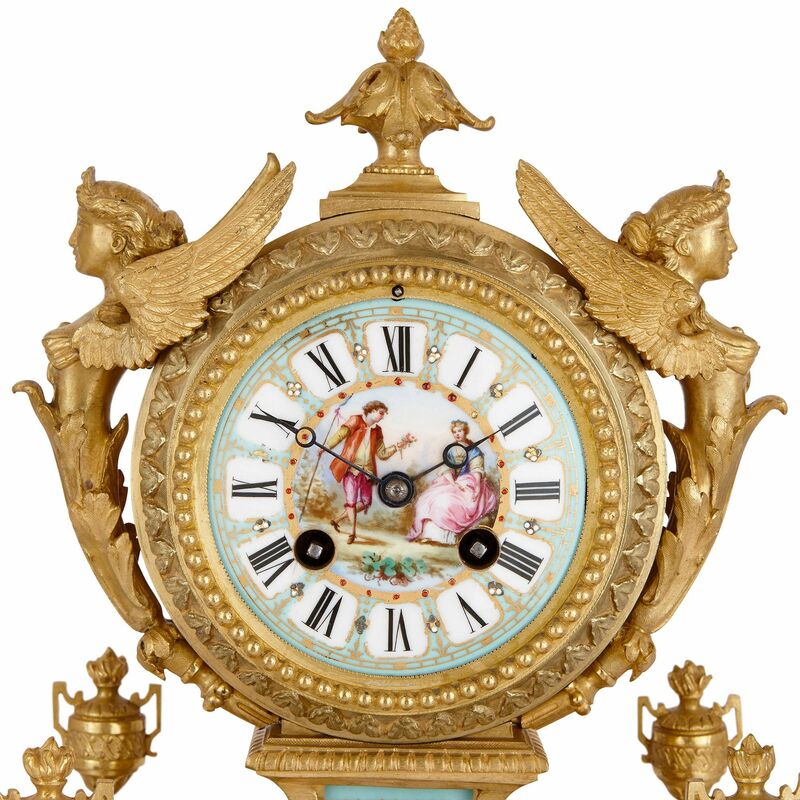 The circular clock dial features a porcelain face with black Roman numerals on white and green grounds, and a delicately painted courtship scene to the centre. The porcelain face is housed within an intricately cast ormolu case, featuring beading, a surmounting flamed urn and flanking classical winged caryatids. 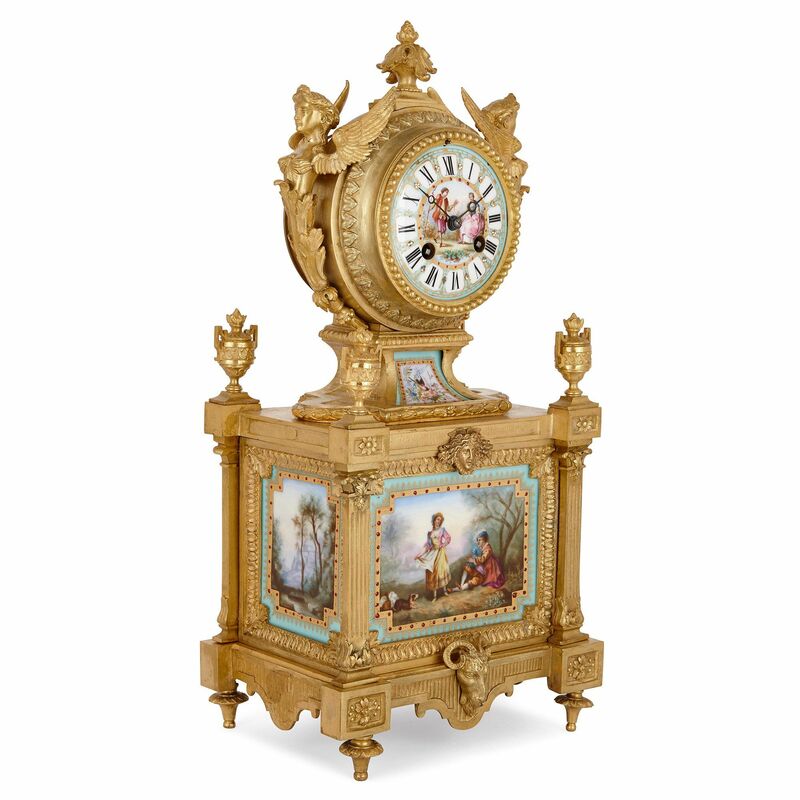 A tapered ormolu support, featuring a curved frontal porcelain plaque, joins the clock dial to the lower clock case, which is of rectangular box-form, and cast in ormolu with Corinthian pilasters and four surmounting urns. 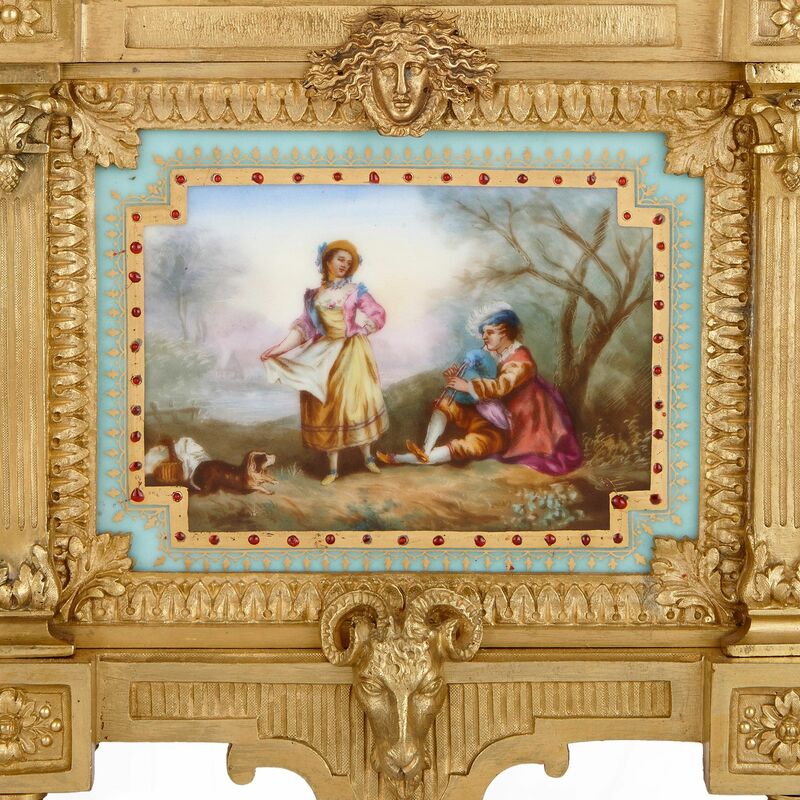 The front and sides of the case are inlaid with porcelain plaques, decorated with further courtship scenes and landscapes, all bordered with bands of gold and green; the gold bands further enhanced with red jewelled detailing. 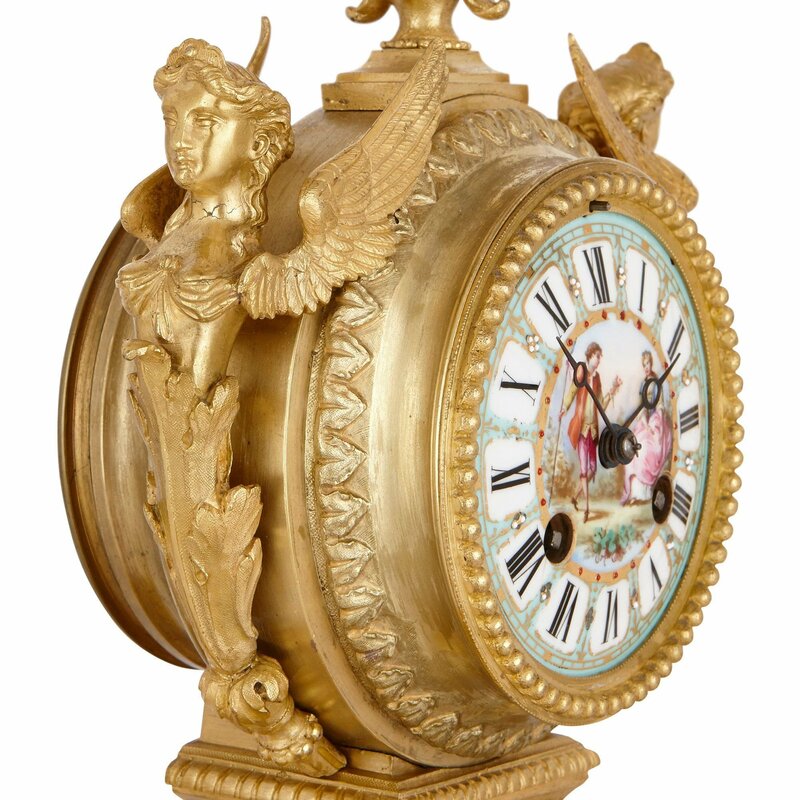 The front of the clock case is further ornamented with an upper classical mask, and a lower ram's head mask. The lower part of the clock case features a sensuously undulating rim, all set upon four toupie feet. 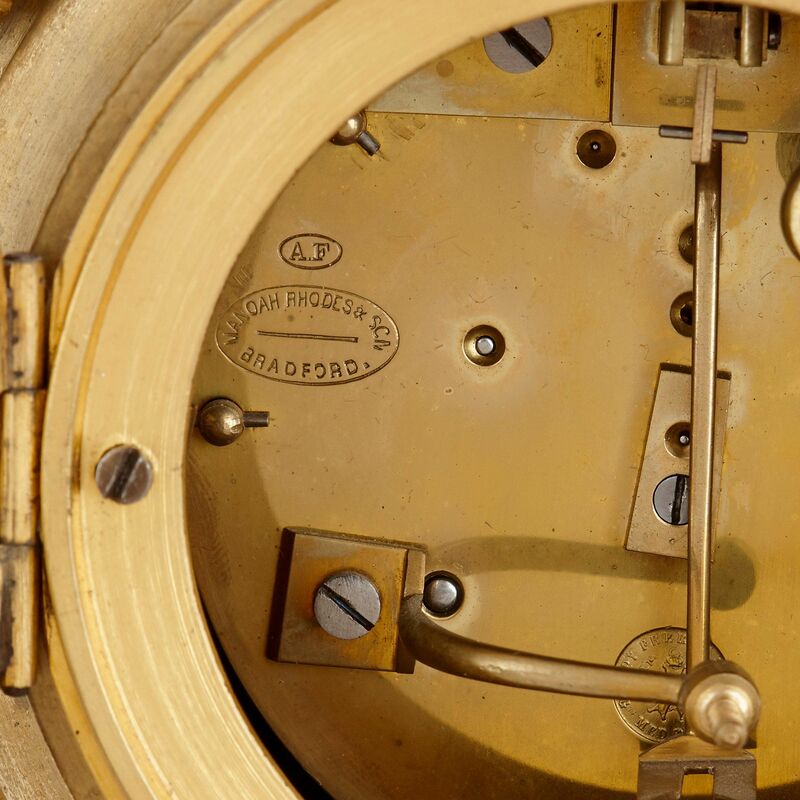 Several of the ormolu mounts are stamped to the underside 'ER', the initials of maker Ernest Royer, and the movement is stamped for the 'Japy Freres' and 'Manoah Rhodes & Son'.